ALABAMAWORKS! 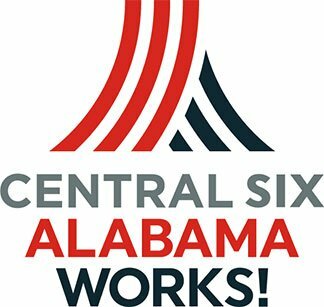 UPDATE NEWSLETTER - OCTOBER 2017 - AlabamaWorks! 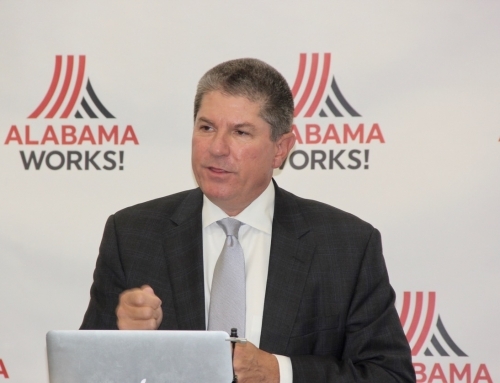 The AlabamaWorks 2017 Workforce Conference, which was postponed last month due to Hurricane Irma, has been rescheduled for Feb. 14-15 at the Renaissance Hotel and Conference Center in downtown Montgomery. Leveraging and Establishing Partnerships (including a special emphasis on partnerships identified in the Workforce Innovation and Opportunities Act). Delivering Career Services (including motivating clients, intake procedures, providing quality assessment, integrated case management, etc.). Business and Economic Development (including strategies around regional business partnerships, business engagement and measuring performance of services). Managing Changes (including WIOA, the new workforce structure). Priority Population (including effective strategies for serving individuals with disabilities, individuals with limited English proficiency, homeless, veterans and ex-offenders). 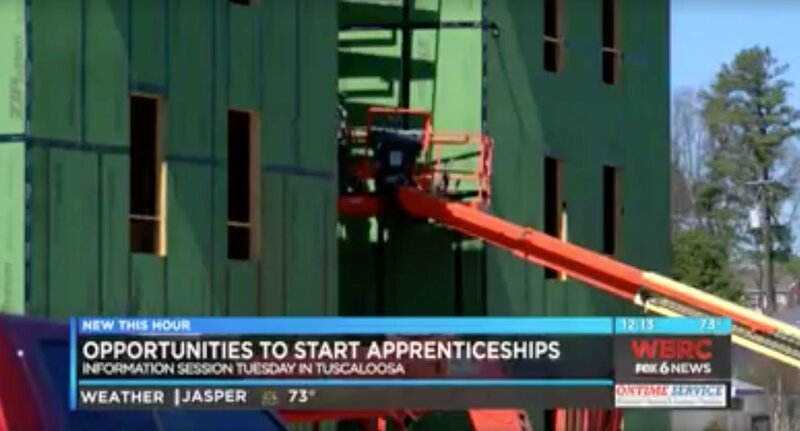 Apprenticeship Alabama, working in partnership with the state’s Regional Workforce Councils, continues to sign up companies for the state’s registered apprenticeship program. Apprenticeship Alabama is also working with the regional councils to present information to employers about what the program offers. The program combines industry-specific, on-the-job training and classroom theory taught over a one- to four-year period. Apprentices receive a progressive wage, giving them an “earn while you learn” training experience that specifically meets a company’s workforce needs. Most important, upon completion of the program, the apprentice will have a transportable credential that will increase his or her wage-earning potential. 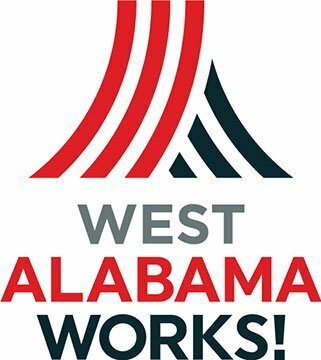 Today, Oct. 24, Apprenticeship Alabama partnered with West AlabamaWorks to present an Apprenticeship West Alabama Information Session. The session was held at the Chamber of Commerce of West Alabama’s office in Tuscaloosa. Representatives of the Alabama Department of Commerce, Department of Labor, Alabama Community College System, Alabama State Department of Education and several industries participated. 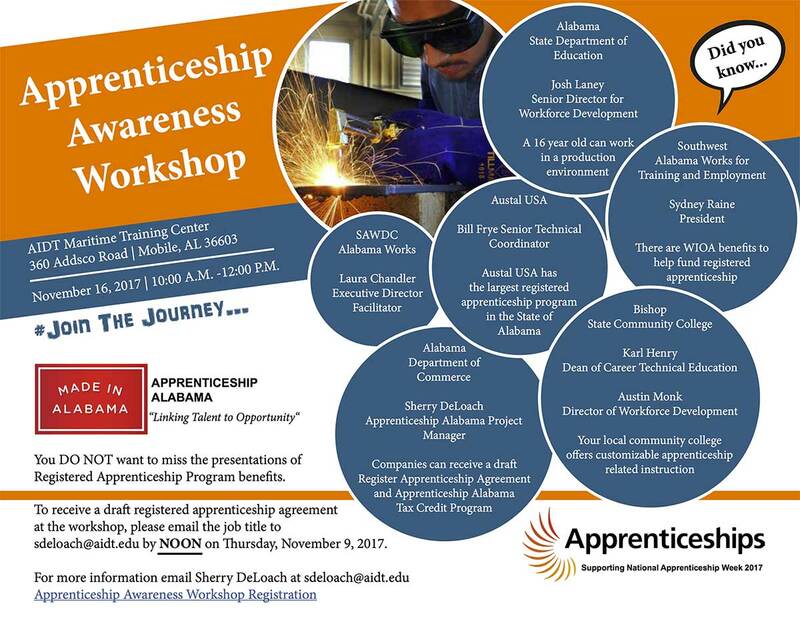 Click the image to the right to see WBRC/Fox 6’s report on the Apprenticeship West Alabama Information Session. On Nov. 16, the AIDT Maritime Training Center in Mobile will be the site of an Apprenticeship Awareness Workshop. The workshop will be 10 a.m. to noon, and representatives of SAWDC AlabamaWorks, the Department of Commerce, State Department of Education, Community College System and regional industry will make presentations. The deadline to register is noon Nov. 9. For information, contact Sherry DeLoach of Apprenticeship Alabama at sdeloach@aidt.edu. For more information about Apprenticeship Alabama, visit its website at www.apprenticeshipalabama.org. Alabama’s unemployment rate continued its downward march in September, matching a historical low. September’s seasonally adjusted rate measured 3.8 percent, down from August’s rate of 4.2 percent and well below September 2016’s rate of 6 percent. The last time Alabama’s unemployment rate was this low was in April 2007, when it also measured 3.8 percent, the lowest rate in recorded history. According to Alabama Department of Labor statistics, 2,068,594 people were employed in September, compared to 2,057,360 in August and 2,045,762 in September 2016. “Nearly 23,000 more people are working now than last year, and the number of unemployed is down by almost 50,000. Those numbers represent real workers, with real families, and indicate real progress in our economy,” said Alabama Labor Secretary Fitzgerald Washington. “Alabama’s employers continue to add jobs, supporting more than 2,011,000 positions this month, beating yearly job growth projections by 28,400 only nine months into the year. We remain hopeful that this wonderful progress continues throughout the rest of the year. “All 67 counties experienced drops in their unemployment rates, both over the year and over the month, and for the first time in a decade no county has a rate in the double digits,” said Washington. For the second consecutive month, Alabama’s unemployment came in under the national unemployment rate, which measured 4.2 percent in September. 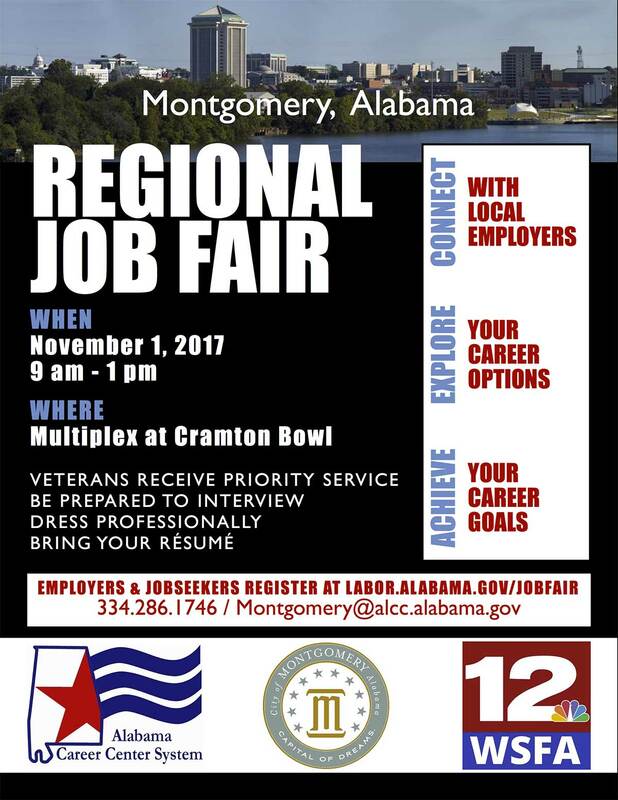 The Alabama Career Center System, in partnership with WSFA 12 News and the City of Montgomery, will host a regional job fair on Wednesday, Nov. 1, at the Cramton Bowl Multiplex in Montgomery. The job fair will be from 9 a.m. to 1 p.m.
More than 80 employers are scheduled to attend, including: BBT Bank, Baptist Health, Coca-Cola, Madix, Neptune Technology Group, Schneider Trucking, Jackson Hospital, and more. A full listing of employers and the available jobs can be accessed at the following website. More than 3,200 available jobs are represented. The job fair is free and open to the public. There is still available space for employers. Job seekers and employers are encouraged to pre-register online at www.labor.alabama.gov/jobfair. Pre-registering will allow for faster entry, and participants are strongly encouraged to print their confirmation and bring it with them to the job fair or to save their confirmation e-mail on their phones. “We are proud to once again partner with the Department of Labor and WSFA 12 News for another job fair. Montgomery and the River Region are enjoying tremendous economic success. Matching qualified job seekers with dynamic employers is crucial for our continued progress.” said Montgomery Mayor Todd Strange. A Job Readiness Workshop will be held on Monday, Oct. 30, at the Montgomery Career Center, located at 1060 East South Blvd., to prepare job seekers by providing training in interview skills, résumé assistance and more. Seating is limited and registration is required. Register by calling 334-286-1746 extension 257. The Alabama Career Center System’s mobile career center along with staff from the Montgomery Career Center will be onsite at the job fair to assist jobseekers in applying for jobs. The Cramton Bowl Multiplex is at 1215 Madison Ave., Montgomery. Alabama’s SkillsUSA Officers Team met in September with U.S. Rep. Mike Rogers, in Washington D.C. Rogers, from Calhoun County, represents Alabama’s 3rd District in the U.S. Congress. The SkillsUSA students advocated for the state’s education programs, career technical education, workforce development and Perkins’ Funding. Alabama State Department of Education officials said the students did a great job of representing Alabama and Career Technical Education at the national level. SkillsUSA is a partnership of students, teachers and industry working together to ensure a skilled workforce. It seeks to improve the quality of America’s skilled workforce through a structured program of citizenship, leadership, employability, and technical and professional skills training. Annually, SkillsUSA serves more than 335,000 students and instructors nationwide. 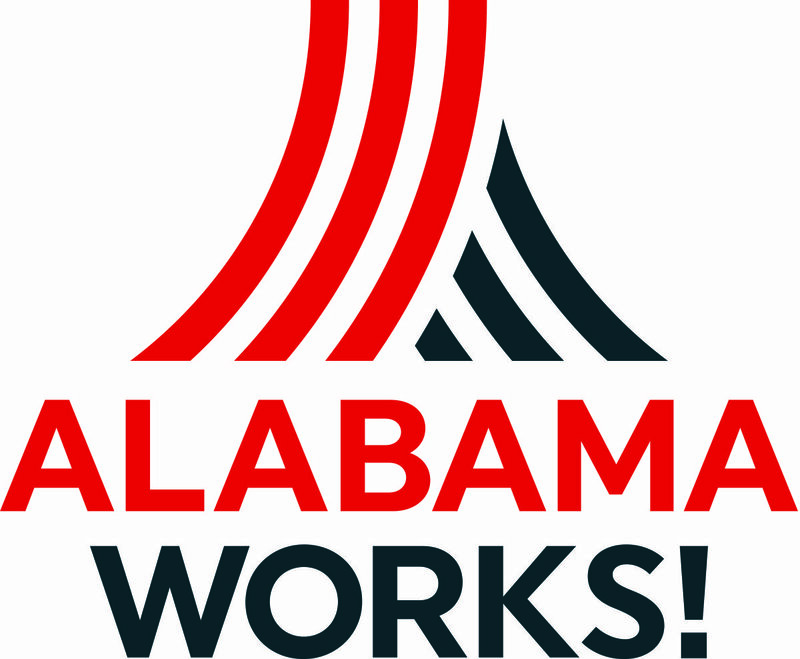 On behalf of the Alabama Workforce Council, IDEAS has been working with the Alabama State Department of Education to create the AlabamaWorks Career SUCCESS Guides. The guides will help students in Alabama learn more about high-demand careers and salary ranges, the steps students need to take to reach their career goals and the resources available to help them get there. There are 16 guides, one for each career cluster. Each guide also features six short bios of Alabamians who volunteered to share their story and path to their current work role right here in our great state. An interactive version of the guides will be available soon. But later this week, printable versions of the guides can be found at alabamaworks.com/successguides. Gov. Kay Ivey proclaimed Oct. 6 as Manufacturing Day in Alabama. However, events celebrating Manufacturing Day continued for weeks. Manufacturing Day is an annual celebration created to motivate young people to learn about manufacturing. Manufacturing Day addresses common misperceptions about manufacturing by giving manufacturers an opportunity to open their doors and show, in a coordinated effort, what manufacturing is — and what it isn’t. 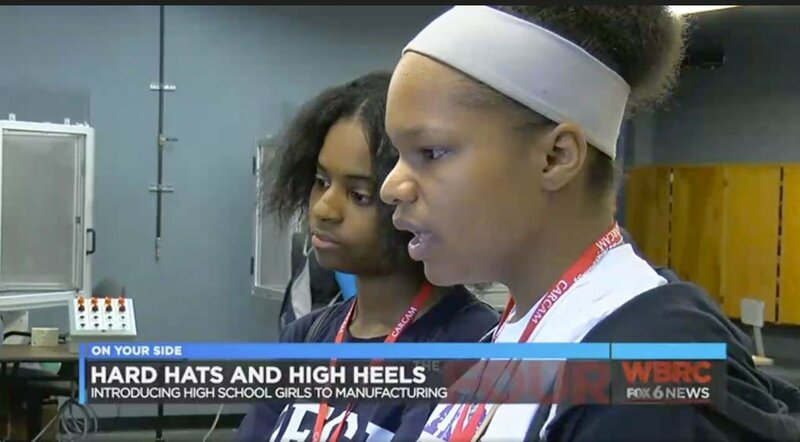 By working together during and after Manufacturing Day, manufacturers address the skilled labor shortage they face, connect with future generations, address the public image of manufacturing and stride to ensure the ongoing prosperity of the whole industry. Alabama Technology Network is an official endorser for Manufacturing Day, helping raise awareness about the day and assisting in planning and hosting events statewide. This year, there were 49 events registered in Alabama. These events include open houses, plant tours, career expos and other activities. These events were made possible by the many hosts across the state, including manufacturers, community colleges, middle and high schools, chambers of commerce and others. To learn more about Manufacturing Day, please visit www.mfgday.com. Gov. Kay Ivey spoke at the Southern Automotive Conference and announced that the Alabama Community College System, through a partnership with the Manufacturing Skills Standards Council (MSSC), will offer nationally-recognized and industry-led credentials at every college this spring. This rollout makes Alabama the first state in the nation to offer the MSSC credentials statewide. The MSSC is an industry-led and federally recognized training, assessment and certification system focused on the skills and knowledge needed by today’s manufacturing workforce. Through a partnership with the Alabama Community College System and MSSC, Alabama students will now have the ability to be certified as a Certified Production Technician or Certified Logistics Technician through the completion of approved coursework and training. For additional information on the MSSC credentials, visit www.almssc.com. In celebration of Manufacturing Day 2017, Jefferson State Community College’s Manufacturing Technology Center, in partnership with the Alabama Technology Network, hosted local high school sophomores, juniors and seniors on Oct. 13 for “Hard Hats and High Heels,” a special program to help build awareness of careers in manufacturing and change perceptions women may have about today’s manufacturing environment. Heard from a panel of women with experience in manufacturing. Received hands-on demonstrations of equipment used in manufacturing. Met manufacturers seeking skilled workers. Learned how to get started in manufacturing-related classes. 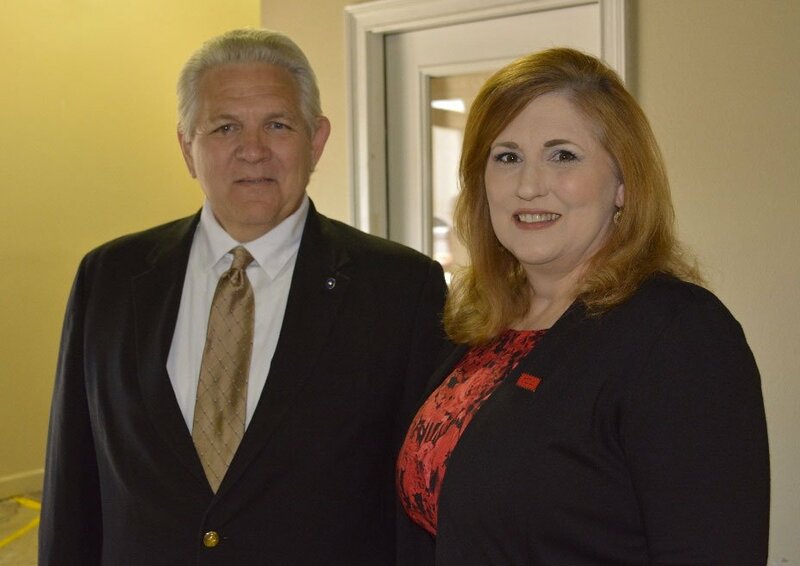 Central Six AlabamaWorks recently introduced Kristen O’Keefe as the new industry cluster coordinator for Alabama Regional Workforce Council Region 4. As industry cluster coordinator, O’Keefe will work to develop long-term relationships with business and industry throughout the region to help address industry-specific workforce needs. Her responsibilities include creating and managing industry sector partnerships important to the region’s economy, including advanced manufacturing, healthcare, construction, information technology and finance and insurance. 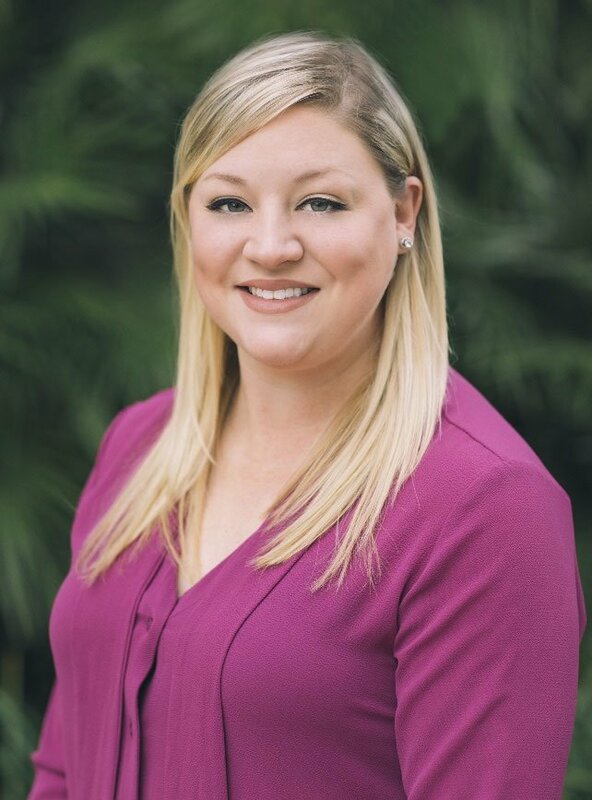 “We are super excited to have Kristen on board and believe that she will be a tremendous asset to us as we continue to build out our industry sector partnerships and respond to the needs of our local industry,” said Antiqua Cleggett, executive director for Central Six AlabamaWorks. Prior to joining Central Six, O’Keefe worked as the regional initiatives coordinator for Coastal Alabama Partnership, a nonprofit organization focused on facilitating efforts to improve the economic vitality and quality of life in Mobile and Baldwin counties. At CAP, O’Keefe worked alongside local, state and federal leadership to identify issues of concern to Alabama’s coastal counties and assisted in developing creative and effective ways to address these issues. O’Keefe can be contacted at kokeefe@centralsix.org. 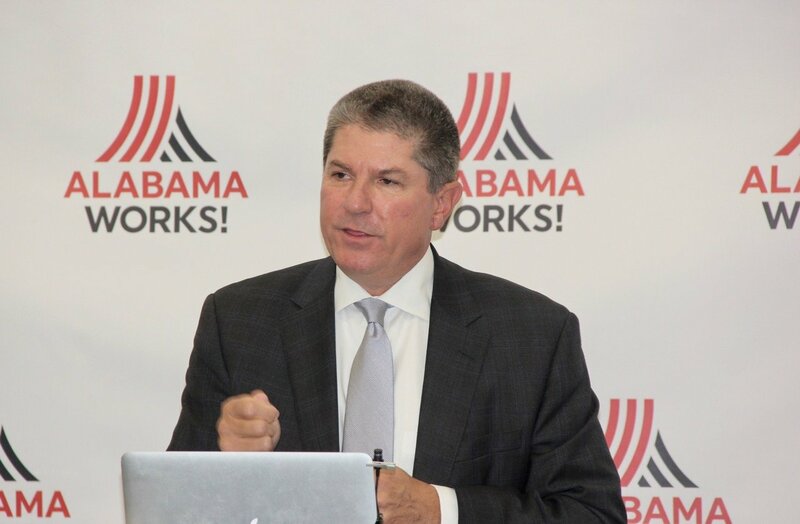 At its Sept. 19 Quarterly Workforce Summit, East AlabamaWorks recognized outgoing Chair Steve Hildebrant of Alabama Power Co. for his dedication and commitment to workforce development in Region 2. 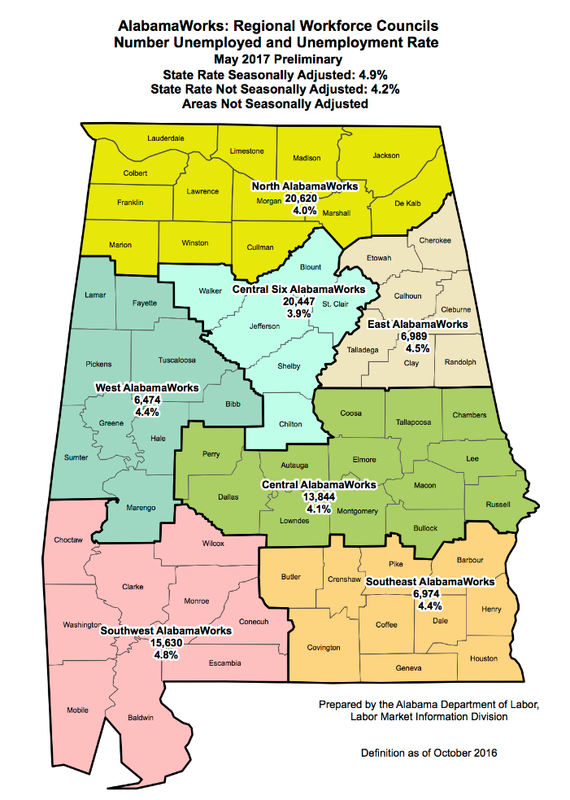 While Hildebrant was chair, East AlabamaWorks seated the Board of Directors representing all seven counties, completed its Bylaws and Operating Procedures, developed a strategic plan, helped in the realignment of the Workforce Innovation and Opportunity Act Local Area 2 Board and served as world leader for the Automotive and Manufacturing World at Worlds of Work. Hildebrant will continue as a board member for East AlabamaWorks and serve as chair of the Area 2 WIOA Board. Outgoing East AlabamaWorks Chair Steve Hildebrant and Director Lisa Morales. Honda Manufacturing of Alabama recently hosted nearly 200 students from area high schools to expose them to the variety of opportunities in automotive manufacturing. Students experienced workforce activities, took a tour of the plant to see how a manufacturing company really looks, participated in an employability skill game and heard information on the careers and opportunities at Honda. Southeast AlabamaWorks recently hired Lindsey Fountain as project manager. She began her new role Oct. 12. 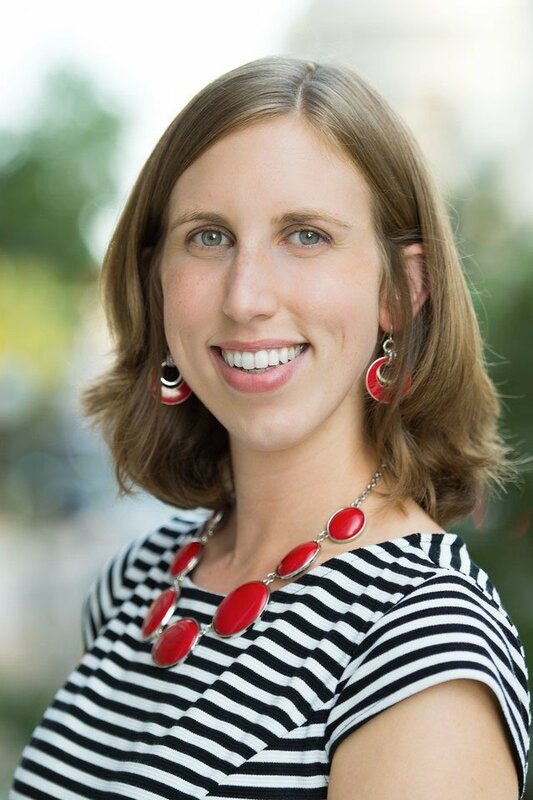 “Lindsey will be an excellent addition to the organziation and brings a great background in working with local stakeholders to help develop plans to move their companies and communites forward,” said Southeast AlabamaWorks Director Ryan Richards. Fountain previously owned and operated a consulting firm in Tallahassee, Fla., and has worked in both the public and private sector. She worked in the Wiregrass office of public affairs for U.S. Sen. Jeff Sessions for two years, covering a 27-county territory. She also worked with the Florida Department of Agriculture and Consumer Services for three years. Fountain can be contacted at LFountain@southeastalabamaworks.com. 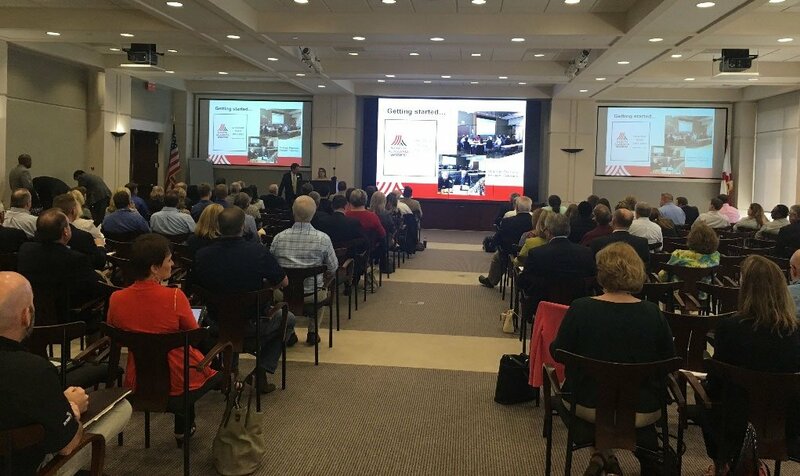 Approximately 175 business, industry, education and government representatives were on hand Oct. 4 for North AlabamaWorks’ recent quarterly meeting. The meeting was held at ADTRAN in Huntsville. The presenters included Greg Brown of Brown Precision Inc.; Kathrine Lynn of the Alabama Building Commission; Lynn Lane and Coleman Cook of EFI Automotive; Vince Green of the Limestone County Career Tech Center; Dr. Tom Sisk of Limestone County Schools; Trip Ferguson of the U.S. Space and Rocket Center; and, David Spillers of Huntsville Hospital Systems. Business, industry, education and government representatives view a presentation at North AlabamaWorks’ Quarterly Meeting. Greene County and West AlabamaWorks are hosting an AIDT Mobile Training Unit at Greene County High School/Greene County Career Center, at 14223 U.S. Highway 11 South in Eutaw. The mobile unit will be available to the community for three months for Ready-to-Work job preparation classes, resume building, GED classes, computer classes and CNA certification. A kick-off event was held Oct. 17 at the high school. A Hillcrest Middle Schooler dips for minnows at West AlabamaWorks’ Worlds Of Work, held at Shelton State Community College’s Martin campus. 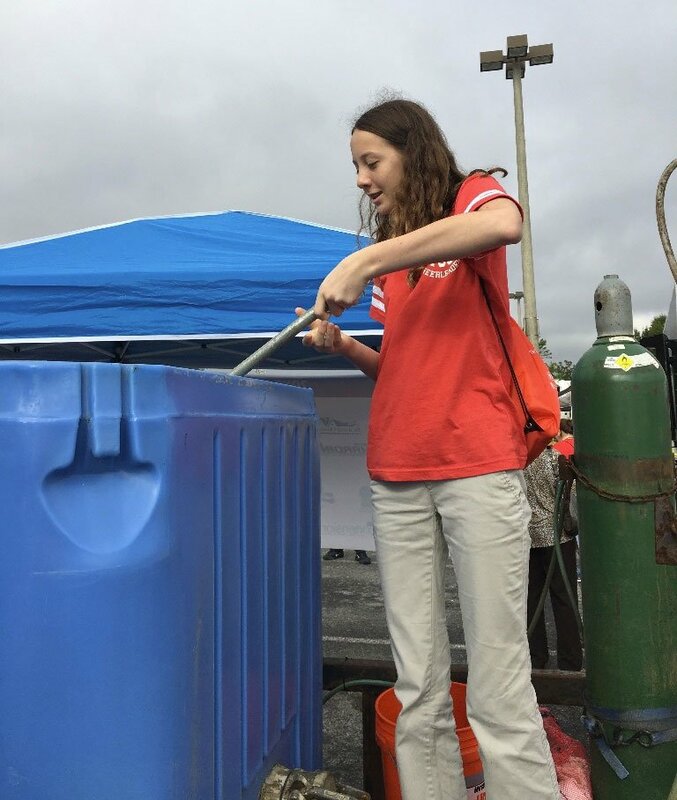 The two-day event attracted more than 4,000 eighth-graders. WOW exposes kids to careers that don’t require a four-year degree. Central AlabamaWorks hosted its Career Discovery event in September at Southern Union State Community College in Opelika. More than 4,000 students from the surrounding area attended the event, which highlighted 11 industry clusters. While there, students participated in hands-on activities that exposed them to careers which do not require a four-year degree. Each student spent approximately 10 minutes in each area. “We had 41 sponsors and 600-plus volunteers give of their time in making this event a success. I look forward to working with them and others in 2018,” said Mikki Ruttan, director of Central AlabamaWorks. 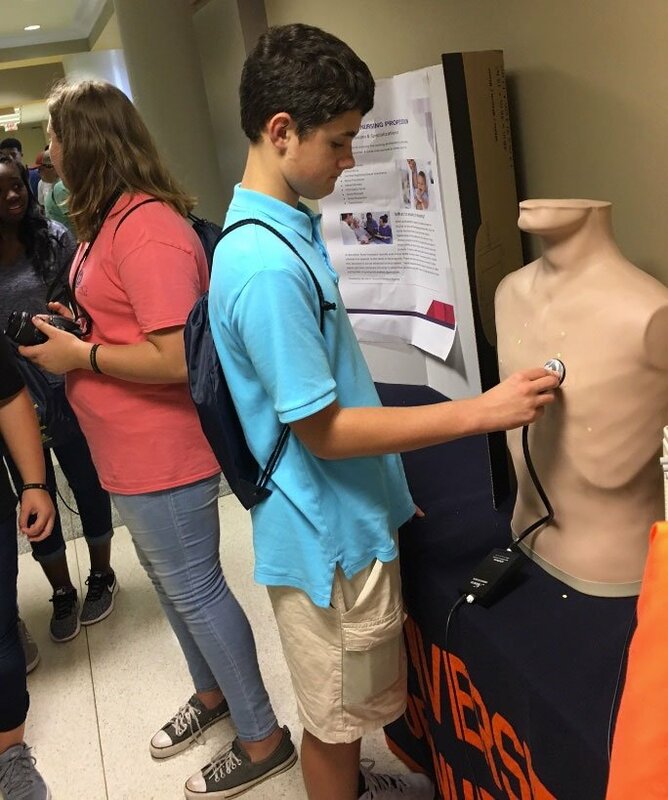 A student gets a hands-on look at the medical field at Central AlabamaWorks’ Career Discovery. 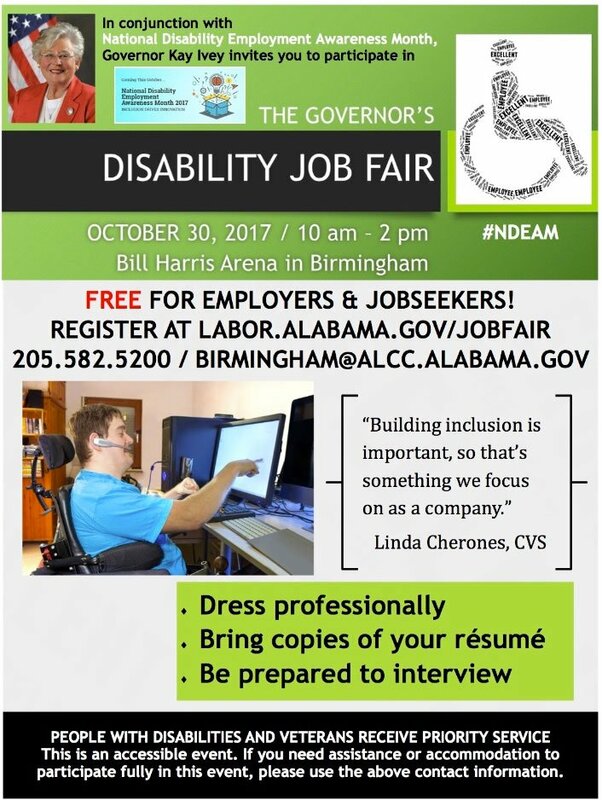 According to a 2015 American Community Survey, 14.9 percent of Alabamians living with a disability — 21,283 individuals — are unemployed. 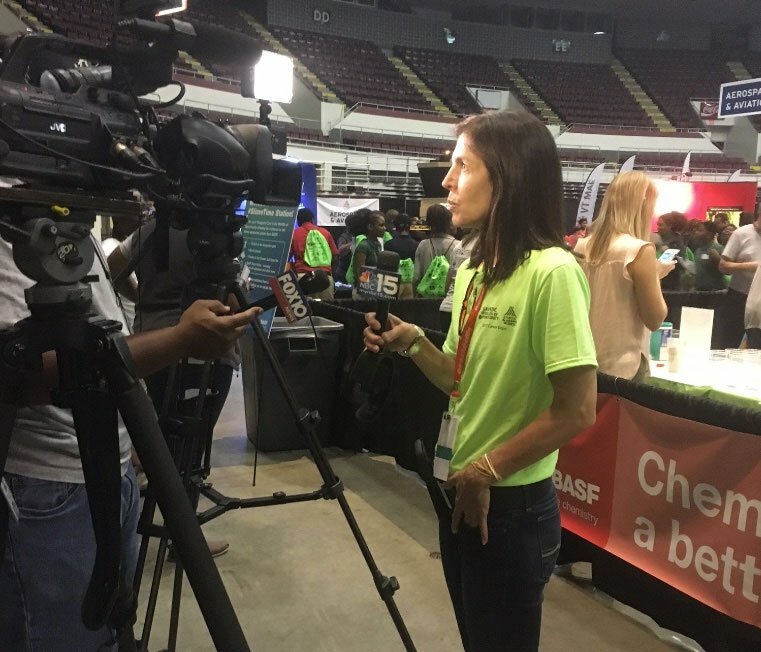 SAWDC AlabamaWorks Director Laura Chandler is interviewed by Mobile TV stations during the SAWDC Worlds Of Opportunity career exploration. WOO was held Sept. 20-21 at the Mobile Convention Center.